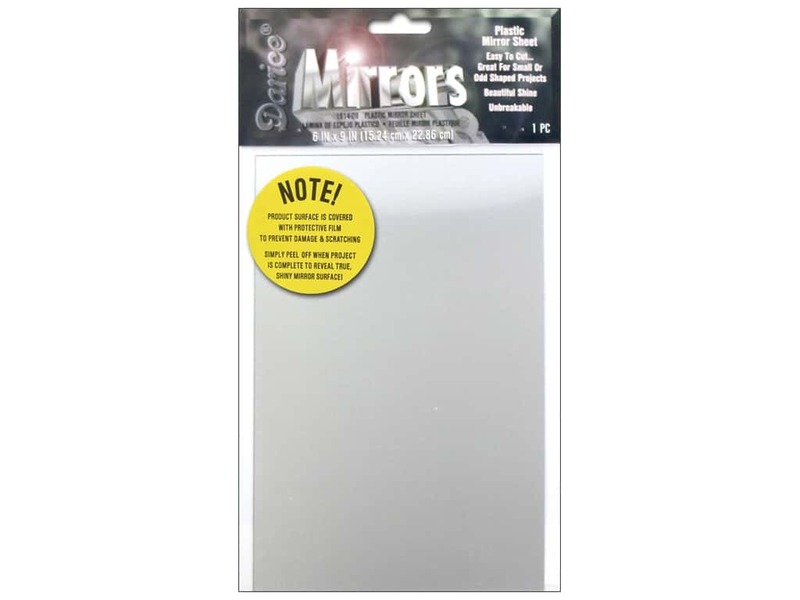 Description: Darice Plastic Mirror Sheets are easy to cut and great for small or odd shaped projects. It is unbreakable and has a beautiful shine. 6 x 9 in. 1 pc. Darice Mirrors Plastic Rectangle Sheet 6"x 9" -- CreateForLess 5.00 out of 5 based on 2 ratings. 2 user reviews.